Today Android phone is most used by everyone . all people like the android mobile to use easy and fast to use this is an excellent operating system provided by Google this is based on the LINUX. This is free of coast provided by Google there is many free apps and game for Android available free of coast in android play store. There is 4,5 version available of android os there is gingerbread .honey comb, ice-cream sandwich and jelly bean. Every operating system is based on Android and has some upgrade version and some useful feature in every android version jelly bean is a latest this is very fast good looking and battery saver operating system by Android phone but the sad thing is this is only available in high coast mobile phones. But you can update any Android phone quickly to jelly bean with some manual steps as going to show you how you can Upgrade Any Phone to Jelly Bean smoothly. the you need oDin with the help of this software you can update your phone Download Odin 3.07 here. Power off the phone and put it on the Download Mode. To do this, press and hold the Volume Down and Home buttons while pressing the Power button until the Samsung appears on the screen. Connect phone to your computer via the USB cable while in Download mode. If the device is connected correctly, one of the ID: COM boxes will turn yellow with the COM port number. In Odin, select the following files from extracted from the download file firmware folder:- Click on PDA and select the .tar file with CODE in its name- Click on Phone and select file with MODEM in its name (Ignore this step if there is no such file)- Click on CSC and select file with CSC in its name (Ignore this step if there is no such file)- Click on PIT and choose the .pit file. Use this file only if you get it while extracting the zip file mentioned in Step 1 or else just ignore it. In the Odin, ensure that Auto Reboot and F. Reset Time checkboxes are selected. If you are using a .pit file, ensure that re-partition checkbox is selected. Click on the Start button in Odin to begin the installation process. Once flashing is done, you will see a PASS message with a green background in the left-most box at the top of the Odin. The device will now restart on its own. After you get the Samsung logo on the home screen, unplug the device from the computer. Now if your phone stuck on the Samsung logo follow this post to unbrick your phone easily don’t panic while doing this steps Unbrick Any Android Phone. NOTE: if any loss or damage you need to go to Samsung care centre to regain access to your phone. So follow the steps very carefully and you will upgrade easily. Upgrade Any Phone to Jelly Bean. If you want to downgrade your phone to default android version support this post Downgrade To Any Android Firmware. please give me 4.2.2 update file for lava iris 250. ? from where we download the 4.2.2 update file for lava iris 250. ? Pleasetell me about rooting of videocon infium zest pro.. I want to update my Karbonn A12 but can’t find the update file!! Please help!! hello, i’m unable to find a rom for my karbonn a9*. please find one for me. will really appreciate it. Guys please help me how to update. i have need of upgrade softwere for carbonn A30 plz give me upgrade file soon…..
plz find the jelly bean update of Micromax a25…. hello sir can i upgrade my karboon A50 version to jellybean……?? Please provide any smooth jb rom for mmx a67. desperately we are in need of your help. Bro I have micromax a65 cant i upgrade/convert my handset os to any other like jellybean/kitkat. can’t find update file for micromax a67 , please help , i just require any smooth rom becoz its stock rom (4.0.3) is useless , it hangs even while using small apps. find out jelly bean update pack for karbonn A9. Nothing for A9+ please……………………. Hiii frnzz i cannot find my micromax A25 Smarty updated on jellybean.. I need the update file link for my micromax a35 bolt .!!! Plzzz hlp me…!!! Can you please tell me how to install custom rom (ICS Based) in Intex Cloud X5, which has Jelly Bean stock ROM ? i want an update for my micromax a54 pls pls pls pls…………………………………..
cAN I UPDATE MY CELKON a9+ MOBILE WITHOUT ANY PROBLEM..
its done on rooted mobile or on unrooted..
Update for lava iris 454 please sir email me the link for jellybean update for my phone. Sir I have karbonn a1+ duple ( its new model not a1) . I want root and upgraded my mobile . plzzzz tell me how to root my phone and where I found my phone upgrade file . and how many file is needed in upgread phone. Want the Update for Kitkat 4.4 on micromax a67 Plz…. pls send update file for videocon a30. can i update it to jellybean?? Need android 4.1.2 on spice mi450..
And android 4.4.2 on Micromax Canvas doodle A111. Dear Sir I m using Samsung Galaxy R and I m nt able to Find Its Jellybean Update Can U plz Help me..
sir i have saphire tablet with 1.3 quadcore 7” lcd i need its firmware file to flash it plz can any one help me???????????? SIR MY MOBILE IS MICROMAX A34 AAND I COULDN’T FIND ITS UPDATE. is it possible to upgrade my samsung galaxy ace duos gt-s6802??? i have no update file . how i can update my micromax a67. Woah this blog is amazing i like reading your site content. Keep up the truly amazing works of art! You realize, loads of individuals usually are tracking game due to this information, you may help these significantly. dued i want jelly bean files for karbon A2+ please provide me as soon as possible. I just want any update (thinking of ICSandwich). My Phone is Karbonn smart a2. And want update from 2.3.6 to ics 4.0. Please mail the links. Thank You. hey bro i have spice mi 450. i cant find any custom rom for my phone so can you find it???? can i upgrade my cherry snap’s gingerbread to jellybean or any higher android version ?? hey, i have karbonn a50 and i want to upgrade it to jelly bean so please provide update link for it..
i am using karbonn a50.i want To upgrade my version from2.3.6 to 4.0..
can u help me to find the updated version for my karbonn a50 mobile.. I have spice mi435 . how to install stock rom in my mobile..
please find me the firmware for karbonn A15 model(jelly bean) will be highly thankful to u.
how can i root karbon a50. can i upgrade my micromax a65? which is not upgradable. if your ans. is yes then can u suggest me that from where can i find the update file? i want to up grade my lenovo A269i to 4.2 jellybean, and upgrade the RAM to 512 MB is it possible. i want to upgrade 4.0 to 4.1 in Intex i-buddy connect 3g tablet but i couldn’t find update file. pls pls pls sir i really want to upgrade mine karbon a15 to jellyvlbean…..
did cherry mobile sonic can upgrade too?? please give jelly bean update for micromax ninja a91. can you please find kitkat rom for my karbonn a9. WILL MY DEVICE SUPPORT IT ?? WILL IT LAG ?? IF UPGRADE IS POSSIBE GIMME THE LINK TO DOWNLOAD THE UPDATE FILE………………..
hlo sir….i m usng Micromax A65 bolt…can i update my phone’s android version….if yes den how….i dont know anythng plss guide me…!!! How can i update my karbon a2 . i have karbonn a51+ android version is 4.0 can iupgrade to jelly bean ……..
hey can I upgrade my xolo a500?? dear prince – I have Motorola xt610, please suggest how to upgrade ot tp latest android version. I need jellybean Custom ROM for Videocon A22. hello sir can u plz give me a link or software updat of karbonn a6..
Can a Cloudfone Excite 352g be upgraded?? should be greater than 4.04 ics. need a upgrade for my phone lava xolo a500 which software update should be greater than 4.04 ics. update file for videocon A15???? Pleadmse give me update file fie samsung galaxy y duos gt-s6102 please give me this file..
Plz send me d link of “Update file” for VIDEOCON A27i….. I have rooted my karbonn A 2+ and needed 4.3 custom from to download please provide me with link to download it. how to update s duos? Pl. Provice update for Spice – MI 435. Join for Latest Tricks ! I am using micromax A65. I tried my best to find the update file for my mobile but i failed. If you can then help me out. & Thanks for the tricks…..
How to upgrade my micromax bolt A67 to jellybean? send me update package plz. How to upgrade my micromax A25 android version ??? Plz send link.. Please send me update file for videocon a16 mobile. . .
And tell me how to root my mobile. . . .
Sir ,can you help me in upgrading cloudfone excite 352g (GB) to ICS or JB? How to upgrade my micromax bolt a27 to jellybean? i want to find update file of karbonn A9 Star. my phone is karbonn a25 and i need its files of custom rom and jellybean.can you please help me.and i need the way how to do that installation…. I have Micromax bolt a65 android 2.3.5 . I want to update it.how to update its android version? please help me sir. Update file of spice mi-450 n drivers of dis device coz m mad 2 find drive. Plz send me d links of download. N 1 think dat i dnt hv d home button i hv only vol , vol – n power. Home,option n back button are touch type. So plz tell me hw 2 put dwnload mode? Oh n i need drives so download url of drivers of spice mi 450 plz give me even d official site gets could nt found d file. Plz m mad 2 find driver of dis device. Plz send me an update JB of spice mi-450 on my email. Plz make it fast coz m exiciting 2 see. Plz tell me dat dere is a step dat i can’t do coz dere is no home button on spice mi 450 device dere is only power, volume+ n vol -. So hw suld i put in download mode? i have karbonnA50 mobile how can i change my version2.3.6 to 4.0? hey send me an update for micromax boltA65…plzz also i want to root……..
hi dude ,I have a xolo a500 and I want to upgrade android plz help me ,thnx in advance . how cañ I update micromaxa65 gingerbread to jelly bean. i want to upgrade my rooted karbonn a9+ in jb 4.2 from ics 4.0 please provide me simple way like install custom rom. now i install in this phone xperia custom rom. Bro i have micromax a65 with gingerbread OS. i want to update this to any OS..pls provide me file..
is it possiple to update in karbonn A50? I want to update my Celkon a86 to jelly bean plzz help mee..
how to upgrate micromax bolt a26 jellybean…place help…. Please Give A Link For spice Mi- 435 Custom or Official Firmware Rom. Would you please send update link for Micromax A34 cause i didn’t find. I want to update micromax bolt a28 to android 4. Can you help me please? hii .. how can i upgrade my spice mi 435 stellear nhance which is ics .. can it be upgraded to jelley bin without any lloss or damage..
i want to my micromax a27 Android mobile injellybin. i have karbonn a11+ and i want to root it… plz help me ? i want android upgrade form ics to jelly bean on my micromax bolt a67. how to update android version of micromax a27 if it is rooted? How to update my Symphony W20(Rooted) Gingerbread to Jellybean? Please help me. i could able to find a rom for celkon A97i , and sir its hardy resquest to u plz guide me for debugging software bcz i dont have a celkon A97i driver.. !! Pls tell me, how to update celkon a97i ? Or cwm roms? hello i am using micromax a50 ninja its running on android2.3.6 … cn i get my upgrade file ? plz send me upgrade file link for celkon a90. tnQ in advanc… 🙂 by the way gr8 procedure bro! please send the zip file for videocon a27i..i want to upgrade from ics to jelly bean. Spice mi-495 ……jelly bean rom…..
can i upgrade my Micromax A27 to jelly bean or ics????? plzzzz help me…. Can i upgrade my xolo a500 to jelly bean??? plss tell me…. I want to update my Karbonn a25 ics to jelly bean so is this possible? i upgrade my Micromax bolt a27 to 4.3 jellybean and i want to tempel run has been run in my device.please help me. Is there any upgrade for my CHERRY MOBILE HYPER ICS 4.0.4 with Build Number CHERRY_HYPER_S250_V16_B479_20130218? Please help ‘coz I want to upgrade my phone. I Have A micromax A27 Bolt. I Had Rooted It By Unlock Root And Now I Want To Update The Frimware Version To Jelly Bean So Can Suggest Me Some Help? please do something so that I can update jellybean on my spice 435.. I want update file for update my Micromax A25 to jellybean version. will u please give me a link to download update file and other required files.. I can’t fine my android gingerbread update, will you please find it for me? I am not getting what you are saying!!! in which setting have i to check??? hey rock as i know this phone i already playing on jelly bean you can check it in settings .. Please send update file for Spice mi 435. I want to upgrade to jellybean..
or please tell me from where to find..
mera mobile micromax A27(ninja)hi to kay mai use Jelly Bean me change kar sakta hu. Plz prince tell me.. how to upgrade Android micromax A91to jelly bean plz send the steps on my email Id …. i have karbonn A25 ICS 4.04 so please help me to find out firmwera source? for jelly bean. Thank you very much friend!!!! Please give me update file for Spice mi 435. I want to upgrade to jellybean..
You dont need to flash entire ROM just to get Google Play Store back on ur phone. Just download Google Play Store apk through internet. Copy it on SD card of ur mobile. Just install it in ur mobile. But this is user application so it will keep on crashing. If you have rooted phone (as u said, u have)… install TitaniumBackup.apk on your phone. Open the app overview in the Titanium. Go to Google Play Store on the list showing applications. Long press on the Google Play Store. A menu will appear…which will give u option to convert user app to system app. Just convert it to system app. U are done… thats all. Thereafter, for internet browser, u may install any browser available through play store. I prefer Dolphin… its nice app. Will you please guide me how to do this? as I mentioned I have Spice MI435 phone. I have rooted my spice mi 435.. but after that by mistake i have deleted market apk and web browser apk.. now I am not able to open google play store.. even after factory reset. plz give me sugestion .. I want to install jelly bean.. Can you please help me??? please. or if it is not possible then will you please give me files of ICS 4.0.4..
i had rooted phone… factory restore not solving problem.. Please get me the file for Galaxy ACE Duos(GT-S6802) currently running with Android Version 2.3.6.
sir, plz help me how can I upgrade my micromax bolt a27 gingerbread to jelly bean. what is the function of backup?how can i extend rom in my hitech amaze s200 phone.can it be upgrade to jelly bean? If you could find for micromax A35. I have a Karbonn A9+ mobile which has Android 4.0.4 and I would like to get an update for Jelly Bean for this phone. Could you please let me know from where I can download this upgrade ? Bro I am using Micromax bolt A35.I want to upgrade my phone to 4.0 jellybean but Its not going on download mode by pressing volume down+home key and than power.If Upgrade is possible in my device so please find my phone update file & tell me what can I do for download mode. can i upgrad it to jelly bean ? and another thing after if we install the iOS ROM can our phone run .ipa files….if not How can we run .ipa files on andriod…? The steps are little unclear to me….. I read a post on how to upgrade or intall iOS ROM in ur phone….now is this update file u r asking to download is also a ROM, if yes why then to donwload a ROM u r telling diff. steps than others……And i couldnot understand why did you tols us to select he repartition option…will our old OS remain in the phone..? iOS on android..Other people are asking us to download some cwm and DeodexDXLF1….which i cant understand..Help…!!!! can i update my nokia n9 into andtoid os?? And last thing i wanna say is that the posts u post are………. First i wanna say that the id i provided is not mine as i dont have a gmail account so i provided one of my known peoples….secondly i request u to please disable the email providing space if possible……. 1. Does this upgrading will not allow some files[Samsung Kies(i read a post on another site that this will not work for GALAXY Y if u up8d it to jelly bean) or some other files or apps] to not work or the OS to be unstable because of the CPU(low or lower than jelly bean or the OS needs) of the phone. hi prince am using samsung galaxy y s5302 with android ginger bread and i want to upgrade it to jelly bean. will this trick work???? i am using i ball andi 4d mobile. help me to find update file as i wish to upgrade the os to jelly bean. for galaxy attain 4G ? go to karbonn care center and update your phone there otherwise your phone will be bericked..
hey pls some one can you help me pls. i want the original custom made fw by karbonn with boot logo. pls someone back up ur system using recover and upload it for me yaar. i am having some issue in my phone and because of custom rom installed in my handset they are deny me to repair my mobile. pls help me pls. so can u find the ics 4.0.4 custom rom for karbonn a25? I can’t find any update file for Karbonn A9+. Can u find android 4.1/4.2 update files to karbonn a9+. hey vikas joshi i only find root file for it and if you gonna upgrade to jeally bean it will be slower so i think don’t try this otherwise your phone will be bricked. Hi Prince. I am using Karbonn A9+ mobile phone. I didn’t get any update file for my phone. My friend told me to use sdk manager and you will get an update file. I got two of them one is sysimg_arm7a-17_r02 (111 mb) and android-17_r02 (45.8 mb) but can’t find any extensions mentioned in above steps. There exists only binary files and .img files. Please help me out to update my phone to Jelly Bean. Is anyone nows can this devide “2look smartphone 5′′ 2fon 2lgx05-s2 3g gps android dual-core” can have jelly bean? hi prince can u plz find the android version 4.1 for karbonn a9+. Can u find android 4.1/4.2 update files to karbonn a9+. can i update my samsung Galaxy y duos gts6102? I have micromax a50 cell phone so plz tell me same procedure for micromax a50. can i install jb on karbonn a9 ?? i hav rooted the phone. and update for karbonn a9 ?? Howe can I upgrade my Samsung galaxy ace duos? can i upgrade samsung Galaxy y pro duos(GTB-5512) to jelly bean? can i upgrade samsung galaxy Y pro duos (GTB5512) to jelly bean? hey aditya it already have ics and jelly bean have almost same functions but if you want to update you can. can i upgrade my htc desire sv? And can I find the update file? Sir , plz I have samsung galaxy 5 GT i5500 and I cant find update file fir this.. So plz help me. can i upgrade my android version?? if yes.. den how to do it?? and is this possible without flashing box?? can i upgrade my galaxy y to jelly bean ? 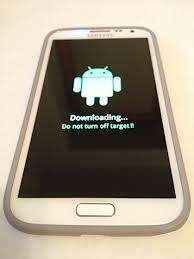 if it is possible sir plz find the update for me..
sir..,can i update my galaxy y duos s61025 to jellybean..??? Where could i find the files..
can i upgrade my galaxy music duos….if yes then plz give me the update file of it…. sir can I upgrade Micromax a25…. I know it would work slower but I want an upgrade plz help…..
can i upgrade JB to galaxy music duos…? if yes , then plz give me the update file..
my device is Micromax a25.. can it be upgradable thru odin?? if it could I know that it would work slower but no problem.. I just want to see jelly bean on my phone…. can it be??? Can you check to see if the LG esteem is worth updating? yes you can update goes but lil bit slower..
yeah of-cause root it first upgrade ram and then upgrade to jeally bean,..
please give me jelly bean upgrade file for karbonn a9+….please…. can I update my karbonn a9+……..? you can update but it make it slower cause it have 280mb ram only so choice is your’s..
i was wondering…would this work on att’s sony xperia ion?? hey shubhmait’s it’s automatically upgrade able to jeally bean go to setting and update system software..
you can upgrade but it makes your tab very slower.. so do you wnt to upgrade,,? Hi I have a Verizon sgs3 will it work? And can I find the update file? Thank you for the tutorial!